Revox 7® is formulated with multiple layers of new technology for reducing the appearance or wrinkles. This intensive serum smooths the look of expression lines without changing the way you express yourself. Revox 7® contains clinical levels of seven peptides, including two award-winning peptides, and is formulated for all skin types. Revox 7® easily layers with other products. 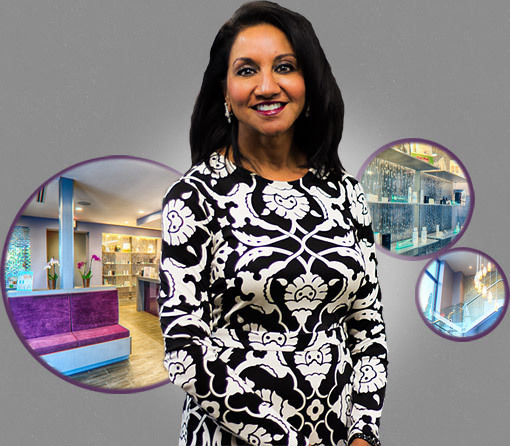 Dr. Madhavi Kandula is one of the leading injectors of Botox® and fillers such as Juvederm® in the metro St. Louis region. Dr. Kandula is ranked in the top 500 of all injectors in the country. Her practice is the only dermatology practice in the state of Missouri to achieve this top 500 national status. This ranking is a testament to her care, skill and artistic eye when it comes to injectables. Dr. Kandula also provides customized skin care for individual patient needs. Call today for a consultation and find out why so many people trust their skin and faces to Dr Kandula. Dr. Madhavi Kandula shared a post.